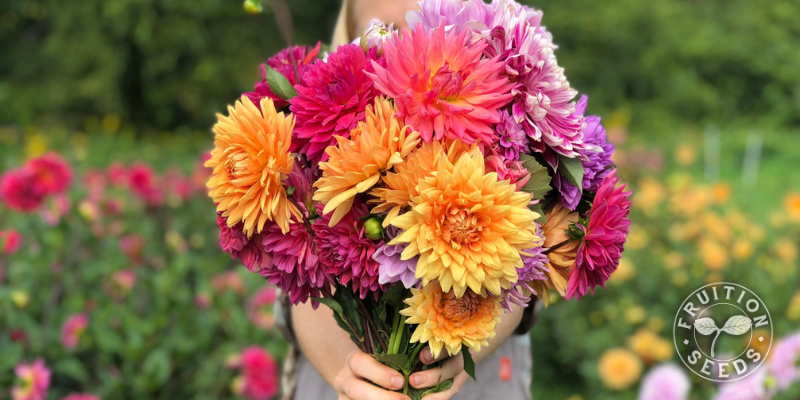 Announcing Fruition's New Online Courses! Here's a little more about them, Friends. 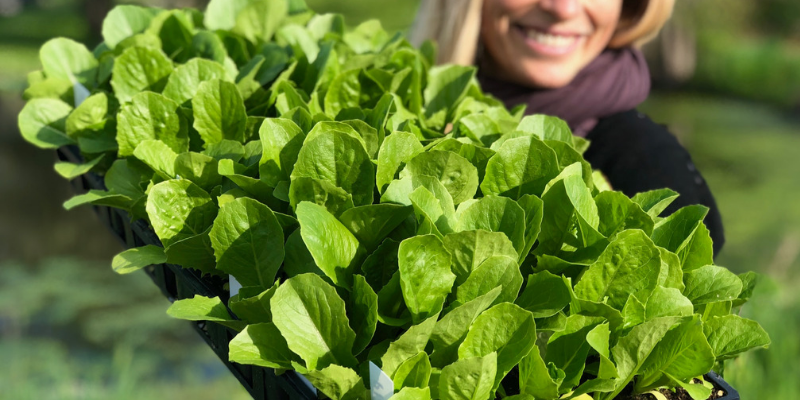 Quickly cultivate the knowledge and confidence you'll need to grow healthier seedlings than you'll ever find at a nursery. I'll guide you through garden planning while setting you up for optimal transplanting as well as direct-sowing success throughout the season. 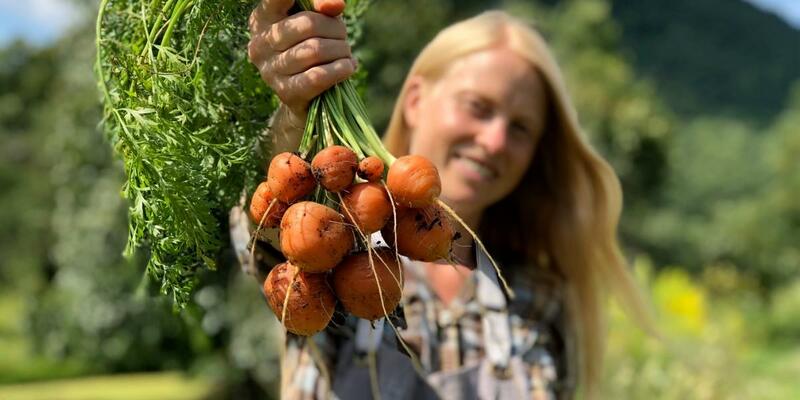 Whether you've gardened for years or have dreamed for years, Fruition's Seed Starting Academy will help you grow the garden of your dreams. ⭐️ step-by-step instructions for starting seeds indoors, including specific tips for common as well as difficult varieties. ⭐️ easy approaches to thin, pot up, harden off and transplant seedlings like a pro. ⭐️ strategies for successful direct sowing all season long, plus tips optimal seed storage. You'll have access to all course materials through August 15th plus monthly live Q & A so we can grow and learn together all season long. Reserve your seat! Fruition's Seed Starting Academy begins February 22nd. Yes! You can grow your own ginger right in your backyard, even in a container, right here in the Northeast! Growing ginger is fun though far from foolproof. 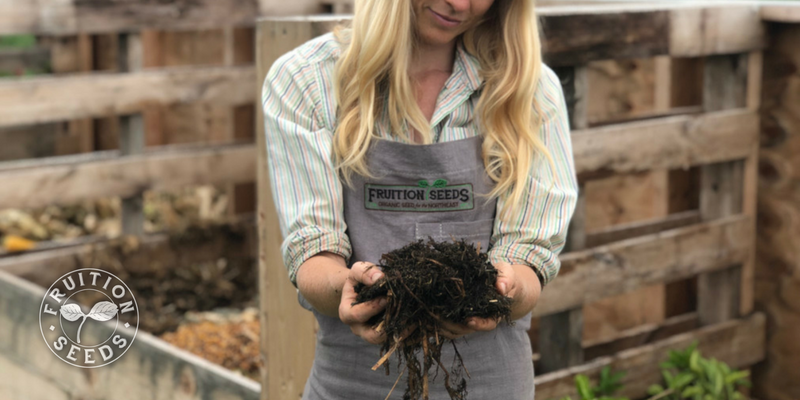 Fruition's Masterclass sets you up for success whether this is your first or fiftieth year gardening. And Friends, you'll have access to all course materials through September 15th plus monthly live Q & A so we can learn and grow together all season long! Reserve your seat! 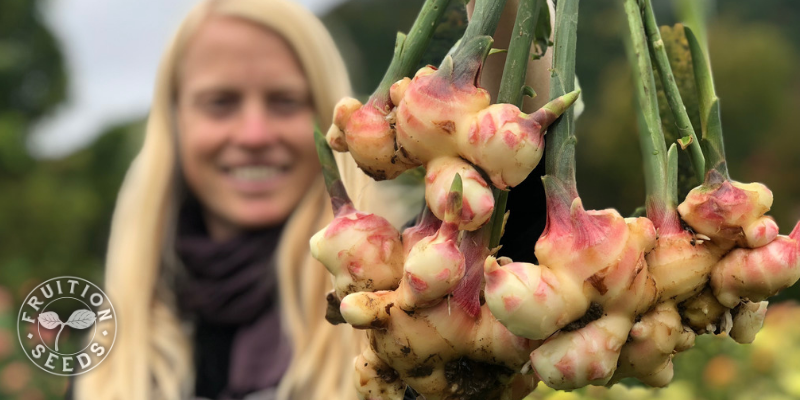 Fruition's Grow Your Own Ginger Masterclass begins February 22nd. The food you grow is so much better than anything you could buy; the same is true for compost, too. Here are the key techniques and time-tested wisdom you need to make incredible compost inexpensively and with ease. ⭐️ Over an hour of gorgeous video tutorials from our gardens. ⭐️ Several approaches to building and maintaining an effective compost with ease, setting yourself up for success whether you've just begun or have composted for eternity. ⭐️ My strategies to optimize and utilize compost in all seasons. Reserve your seat! Fruition's Composting with Confidence Mini-Course begins February 1st. 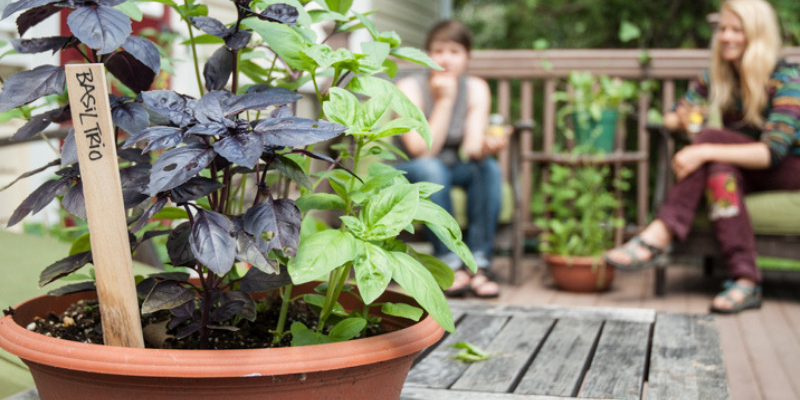 Surrounding yourself with abundance in containers and small gardens is easy! Yet, like anything, container gardening takes a great deal of time and experience to master. I'm honored to share my key insights from over three decades of making every inch count in my garden. ⭐️ My favorite resources to set you up for success from the start. ⭐️ My favorite strategies to grow the abundance all season long. ⭐️Yes, you can even grow carrots! Reserve your seat! Fruition's Container Gardening Mini-Course begins February 1st. For seven years before Matthew and I signed LLC papers, as I worked and played in the world of organic seed world, I dreamed of starting a seed company dedicated to sharing its own saved seed, well adapted to its bioregion. Which sounds nice and all, and let me tell you: That is a radical notion. There is only one seed company in Oregon I know of that actually does this. Well, I was obsessed with doing this in the Northeast. The transparency, the integrity, being the change we want to see in the world. I was obsessed. So we sign Fruition Seeds' LLC papers in December and one afternoon in late January, I'm crunching numbers and sharpening my dull pencil (again), creating our first crop plan. Our first crop plan! A crop plan is a farmer's map, their blueprint of the season, taking into account planting dates, harvest dates, yield estimates and other data, so you have a framework for decision-making, including ball-park projection of revenue. We had two acres of land about to be certified organic and after working out our crop plan for days, I finally burst into tears, announcing to Matthew that there was just no way we would ever make a living doing this. Matthew, making supper (I do love his Shepherd's Pie), came over, touched my shoulder, and over the next half hour, we talked. Here's what we learned: My deepest values were actually masking my very deepest values. Here's the thing: I wanted to grow all our own seed not because I believed I was the only person capable of doing this work; I was so fixated on this because that was the only way I had conceived of having the integrity, the transparency, that the work deserves. And Friends, it was in that moment that we realized the deeper expression of integrity is, rather than doing this work alone, was to share it with others. If we could buy seed from other organic seed growers in the Northeast, suddenly we are amplifying that value rather than diminishing it. And we all can make a living doing what we love, by doing it together. Truly, we come to Fruition when we all come to fruition. So yes, Coming to Fruition Day celebrates the fears we face and the difficult work of asking deeper questions to find deeper values. The fear of failure is so real, Friends. It takes different forms at different times in our lives. Whatever the form you're experiencing in your life right now, large or little, I see you. I'm grateful to have taken the plunge and you, reading this, are no small part of why I still jump out of bed each morning. Whoever you are, whatever you love, no matter what you do: Let's do it together. Admittedly, to date, I'm not at all pleased with the trumpets we sound about the collaborators we work with, because I want to share those stories way more than we currently do. We cannot to this work alone and we don't. In the coming seasons, expect a lot more of their stories to be shared and celebrated. Cheers! Join our mailing list to receive the latest news and updates from Fruition Seeds.